I got Arma II when it was on sale recently and because a friend recommend the DayZ mod. 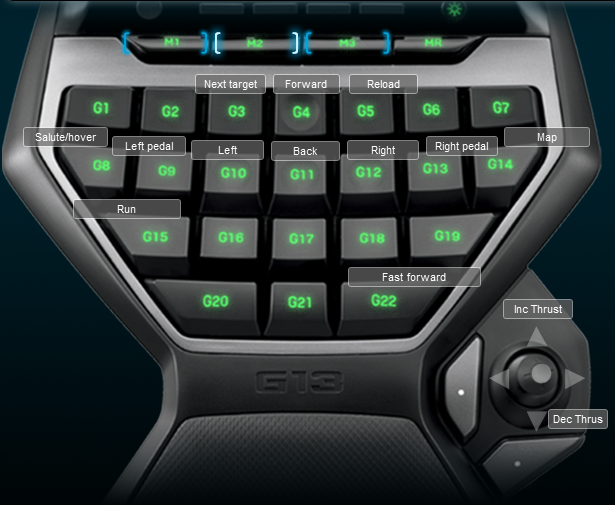 I made a Logitech G13 profile for the game because one didn’t exist by default. 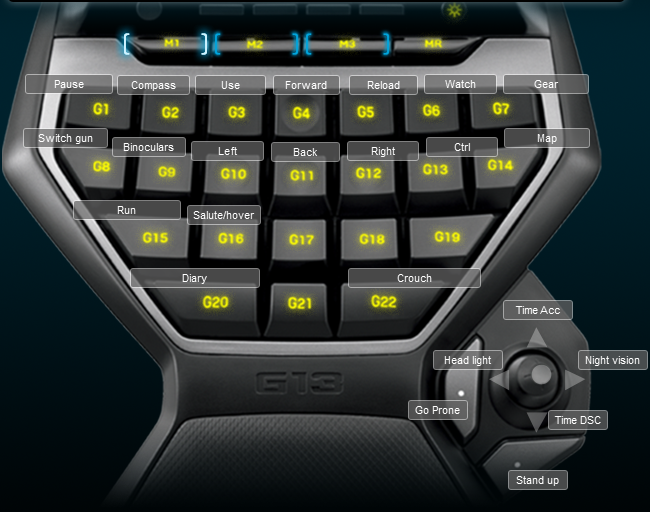 Arma 2 has one of the more complex FPS keyboard layouts I have seen, probably because of its real world simulation focus. I placed the general actions for when you are running around and in a tank or motor vehicle on the M1 key. I then put helicopter and jet controls on the M2 key. This is similar to what I did with Battlefield 3. Below is a screenshot of each of the M keyboard layouts.